Looking through the history of Japan, you can easily see a bunch of men fighting great wars, inventing great things, and writing great stories and great literature. Rarely are women mentioned in the history books for those things. You either hear about a woman in Japanese history because of their children or because of their rank but hardly ever about what they were able to give back to the world. This may be because historians were too focused on what the males of their time were doing but luckily, there was a woman made a big enough impact in the Japanese culture to be written down in history for her deeds and her name is Princess Shikishi. Before anything else, some of you might be confused because when you reach the internet about shikishi, what sometimes pops up is shikishi art like a visual shikishi of a character like Izumi Sena from “Ensemble Stars!”. Just so you know, this art has nothing to do with Princess Shikishi. It just so happened that shikishi is also what you call the board used in Japan for commemorative autographs and such alike. You should also know that a Monogatari is a collection of this shikishi art so the term Monogatari also has nothing to do with the person in Japanese history being talked about here. The person being talked about here is the third daughter of Emperor Go-Shirakawa which makes her title as a princess the real deal and not just a formality. She really was an imperial princess and this is the reason she was actually referred to as Shikishi Naishinno, with Naishinno being a term that translated to the imperial princess. She was born in the year of 1149 which means that she lived during the time of the late Heian period until it transitioned to the period known as Kamakura. There are also several ways to pronounce her name so if you see names like Shokushi, Shikiko, or Noriko, be reminded that they all pertain to one person and that is Princess Shikishi. 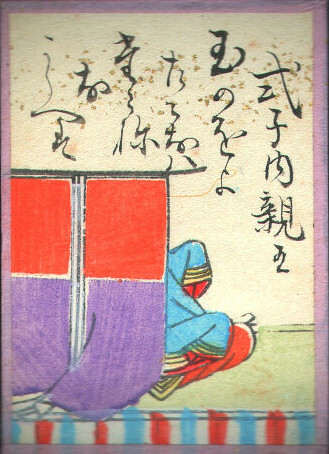 The women of those periods, especially those will titles like Princess Shikishi had, were usually involved in arranged marriages between families or clans who were trying to cement their alliance but in the case of Shikishi, she was sent as a miko or a shrine maiden at the age of 10 to the Kamo Shrine located in Kyoto. She eventually became a high priestess there but due to health conditions, she chose to leave the Kamo Shrine and return home to Kyoto. She never joined any Uta-awase or poetry contests but she had been writing poetry since her younger years. After her time at the shrine, she studied under one of the more well-known poets in Japan in that era. His name was Fujiwara no Shunzei and when he saw the work that Princess Shikishi, he was blown away by how skilled she already was. He was so impressed that he even included some of her work in several anthologies made during those years. Some examples of these anthologies were the likes of Senzaishu and Shin Kokinshu. She was never married but she is considered to be one of the greatest love poets of her time. This fact is what leads people to believe that she may not have had a partner but she definitely fell in love and felt what love was because only a person who has felt it can relay it in words that can make another person feel that love by just reading the powerful words. Though it was never confirmed, these assumptions by the public were what led to the rumors that she had an affair with Fujiwara no Shunzei’s son, Fujiwara no Teika, who was also considered to be a great writer and poet of his time. In the year of 1194, she felt like she had already experienced all kinds of lifestyles and it made her realize that the lifestyle that fit her the most was a religious one. With this, she took the tonsure to become a Buddhist nun. She spent 7 years living like that and then death came upon her in the year of 1201. The Ogura Hyakunin Isshu is a famous Japanese anthology that is made up of the works of 100 Japanese waka poets and Princess Shikishi was chosen to join this honorable 100. This was compiled by Fujiwara no Teika because, as he stated in his diary, his son, Fujiwara no Tameie, asked him to do so for his father-in-law, Utsunomiya Yoritsuna. It is called the Ogura Hyakunin Isshu because at the time Teika compiled this, Yoritsuna was furnishing a place by Mount Ogura. 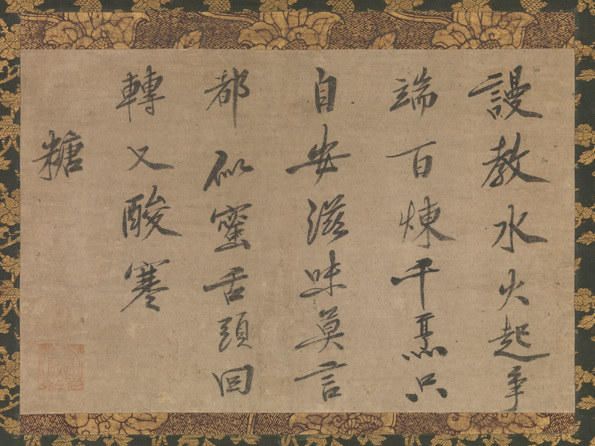 Teika had other compilations of poems that were seen to be better than the Hyakunin Isshu like the Shoji Hyakushu but, nevertheless, the Hyakunin was still an amazing piece of work. The fact that Princess Shikishi was selected to be a part of the elite 100 was a great honor and it really cemented her status as one of the best love poets Japan has ever had the pleasure of setting their eyes upon. For you to understand the pedigree of this, you should probably know that this let her join the likes of Emperor Tenji, who wrote the popular narrative “The Three Hills”, Abe no Nakamaro, who wrote the haunting poem about his longing to come home to Nara after being stranded in China for decades, and many more. 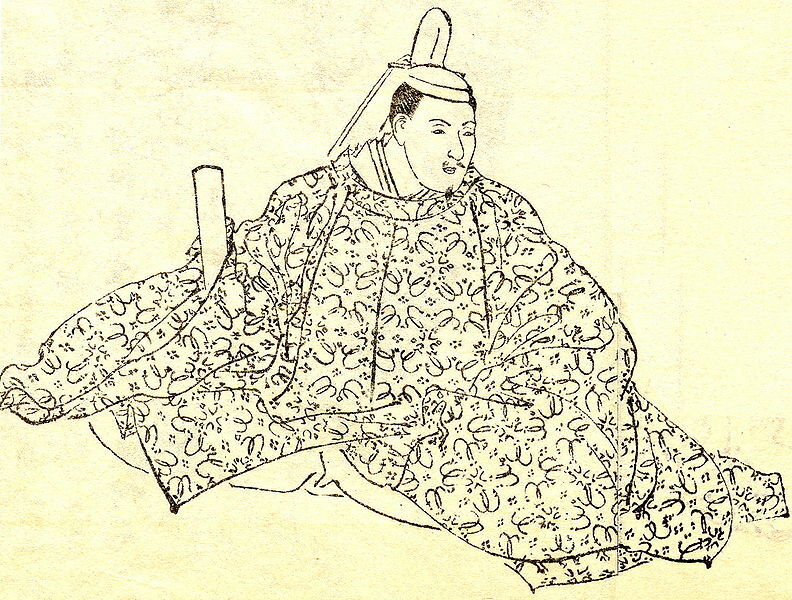 Also part of these 100 poets is the famous Emperor Sutoku. Finding him in this list is amusing because legends about him say that he eventually turned into a member of either the “Three Great Evil Yokai” or the “Three Great Onryo of Japan”. In both cases, he turns into one of the craziest evil spirits Japan has ever seen. The Hyakunin Isshu isn’t the only anthology where you can find the works of Princess Shikishi. Her works can be found in 15 of the 21 imperial anthologies and these anthologies took more than just 1 poem each because there is a total of 155 Princess Shikishi works in those anthologies. Aside from her works being seen as impressive, it was also unique because it conveyed things through the eyes of a woman that particular period in Japan history. As it was mentioned earlier, the majority of writers at that time were men so it is refreshing to see another perspective in Japanese poetry. Her skill as a writer was been complimented again and again by several notable personalities. People like Hiroaki Sato and Emperor Go-Toba have spoken about her skill and both have described her ability to articulate her words as sensitive and creative. She can tell you whether it’s the month of December or the month of October without saying the word itself but by putting into words what she was experiencing and seeing at the time. That talent cannot be learned but must be honed to be able to create amazing poems and that is exactly what the princess did with it. If you want to see it for yourself, you can simply look up any of the anthologies mentioned above or you can look for the book called “String of Beads: Complete Poems of Princess Shikishi”. Considering all the information about Princess Shikishi’s life and work, it was pretty evident that she valued privacy a lot. Even her one and only rumored romance was never really confirmed in any of the history books or works of literature. Despite this privacy though, you can’t help but feel amazed that a person that like existed in a time like that as well. She brought up the flag for the women of the world through her magnificent works and she will forever be recognized and remembered for it.